Since all teas originate from the same species, the difference in processing is what truly distinguishes one type of tea from another. Another common way to distinguish types of tea is by the level of oxidation they have been processed with. Green teas are almost always unoxidized, which is a process that causes atoms to lose electrons. 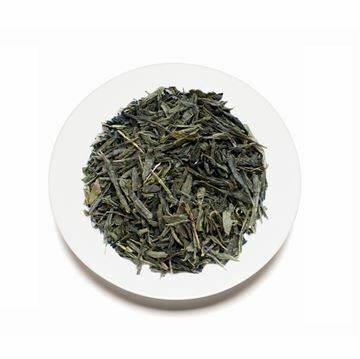 Sencha is one of the best known green tea types. Originally consumed as a remedy and for spiritual composure, it is today considered a source of inspiration and vitality. After the infusion, the full leaf can be seen & the cup has a bright yellow color. 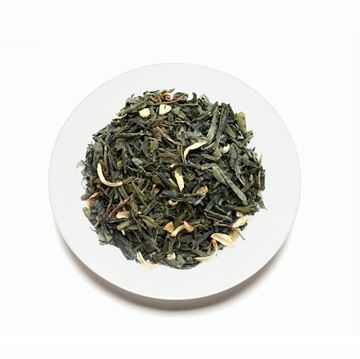 The fresh, grass-like flavor with a fine sweetness is a pleasure for every Sencha enthusiast! 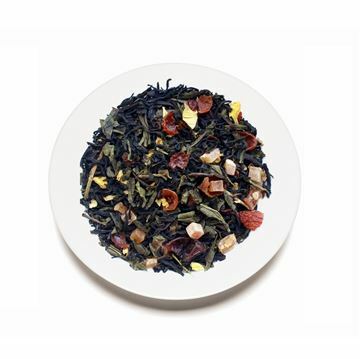 This flavored green tea combines the invigorating spiciness of ginger with the tempting sweetness of ripe peaches. A must for any ginger lover and definitely worth a try for those who always thought ginger a bit too heavy for their liking. This tea will surely change your mind. Curtain up and spot lights on: Gojiberry, blueberry and pomegranate flavors play the lead rolls in our newest green tea master piece. 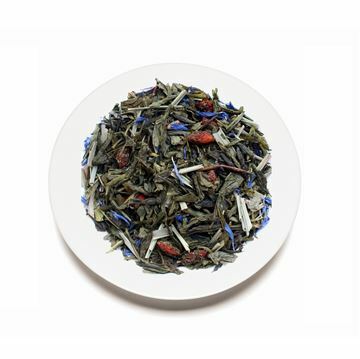 The scene: Summer fun-filled bright red gojiberries bedded on rich, green Sencha with just the right “spritz” added by the lemon grass, the “splash” underlined by royal blue cornflowers. Allow yourself to be thrilled to the last sip: hot or chilled on the rocks. In China, whole green leaf teas are traditionally scented with Jasmine flowers placed in layers within. 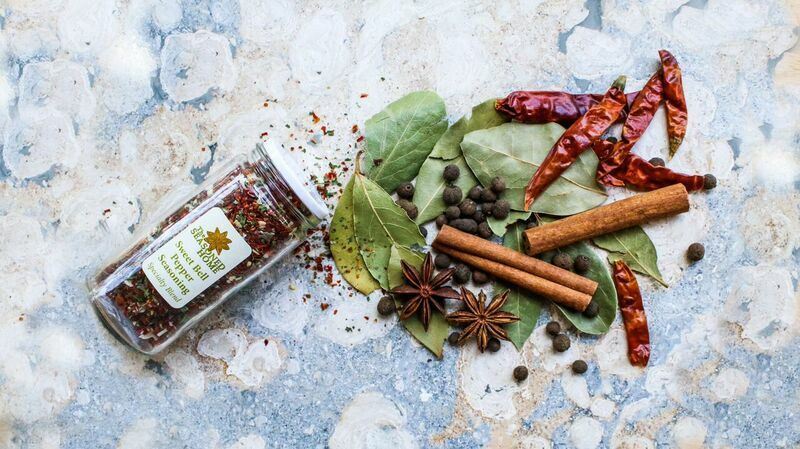 The petals are harvested during the day and stored cool at night in order to bloom and unfold their full fragrance. According to the desired quality grades the petals are sifted out after processing. 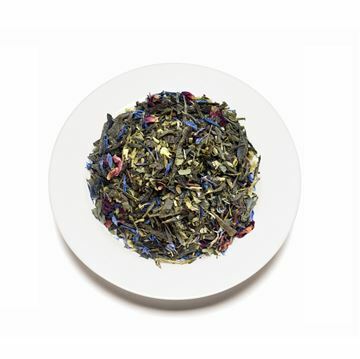 For this reason teas vary from light to stronger delicate floral flavors and tastes. You must see and enjoy this heavenly tea. 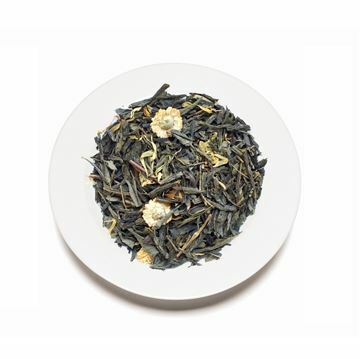 The light blend from high quality Sencha green and white teas provides a fantastic, flowery basis which is unique in appearance. The flavors of passion fruit, pineapple and strawberry form a perfect symbiosis with the basis and find an ideal completion in the added fruit pieces and petals. A tea made for angels. 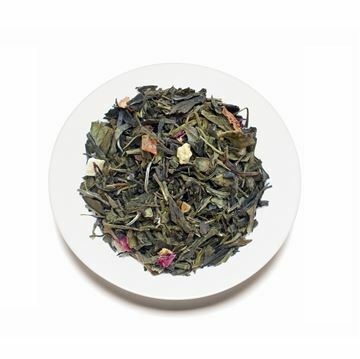 Our Enchanted Forest green tea is a blend of mellow Sencha and spicy green mate that not only looks interesting, but also develops an aromatic flavor. The tempting aroma of Black Forest Cherry cakes is refined with a little sweetness and attractively decorated, making this blend a much sought-after specialty. 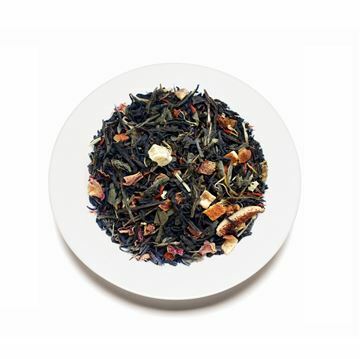 Earl Grey is the world’s favorite flavored tea. Long have green tea lovers been waiting for it. We combined excellent Sencha green tea with high quality bergamot flavor and decorated with lemon peel and orange blossoms. 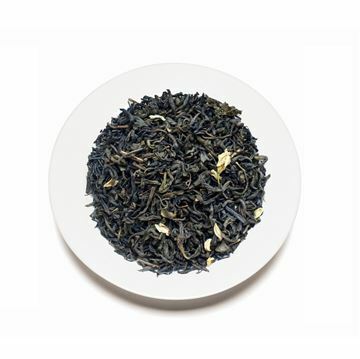 Now lovers of Earl Grey can finally discover this delicious green tea and visa versa.